No matter how much I complained about having to stay late after work to do a night cross county flight with a student, I loved flying at night. Usually, the air was cool and smooth – perfect for a jaunt around the city – and the view… wow. Flying at night can be a wondrous experience. There is much less air traffic congesting the sky and, subsequently, the radio frequency. Position lights adorning each craft make them easier to see from a greater distance. Airports are indicated by flashing beacons and are also obvious from farther than they would be during the daylight. 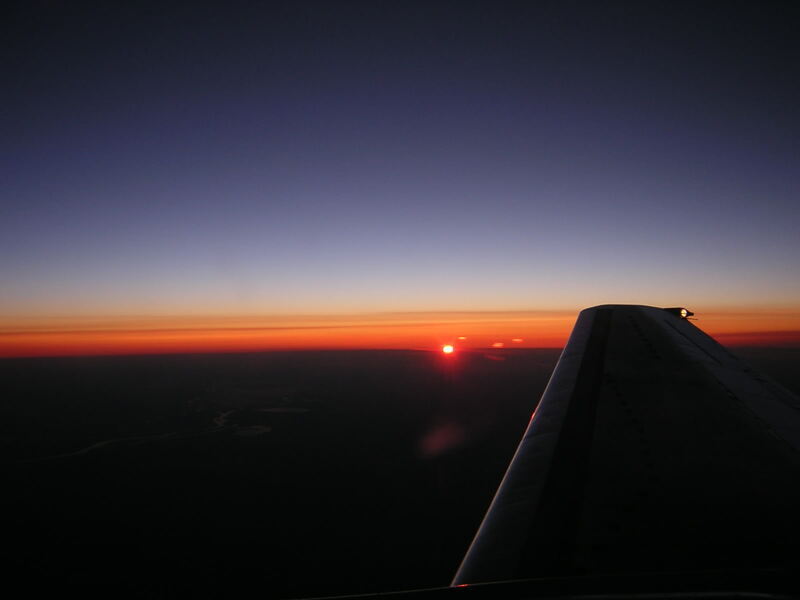 All in all, a night flight feels more like a joy ride than work. To me, it always felt serene with the tiniest touch of exhilaration that made my heart sing. Every time. When I would take a student on their required night cross country flight, I would be sure to take them along the shore of Lake Michigan for what I considered the most important lesson of the flight. In the dark, you cannot see the horizon. Over land, this is not an issue because of lights from the ground. However, there are no lights over water. It is easy to become disoriented when flying over or near water, and I was adamant that all of my students be aware of this fact. Another reason I love night flights is that I’ve been fortunate enough to see the Aurora Borealis on several occasions. The dancing sheets of color never fail to fill me with awe and I could stare at them for hours, if given the opportunity. Unfortunately, my job did not afford me that luxury, as I usually had a deadline, but I always drank in the view while I could. Maybe that’s the point of life. Find what you love, and do it while you can. Or maybe I’m just full of crap. Anything is possible.